Ah, the proverbial cabin in the woods. For generations it has been portrayed as that rustic little place where all its charm stems from being in the middle of nowhere. It’s quiet, private and comes complete with the sound of birds chirping in the morning, crickets at night and the calming acoustic of the occasional bee passing by during the day. Breathe in deeply. This is how you really get away from it all and unplug. But wait a minute; let’s think about this: If you brushed aside all the rustic romanticizing, it wasn’t really that glamorous. It was old, creaky and usually had some sort of plumbing problem. What if there were a better cabin in the woods? 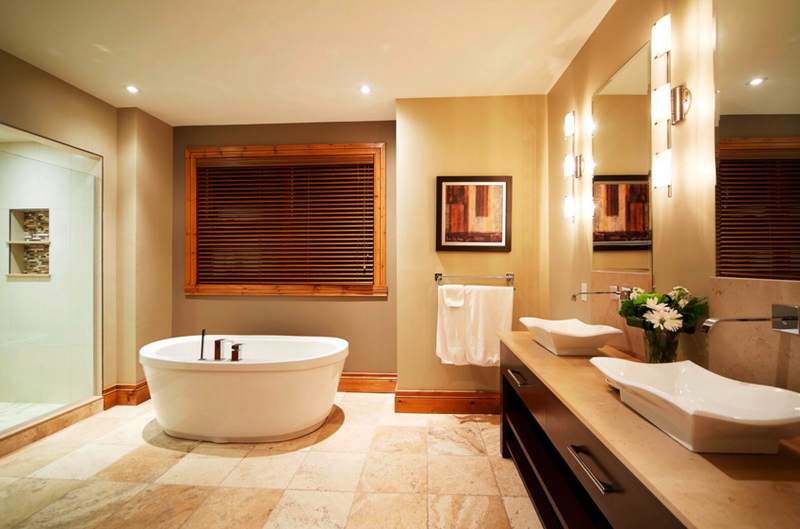 What if you could get all the quiet and private you want and do it while relaxing in a luxurious estate? 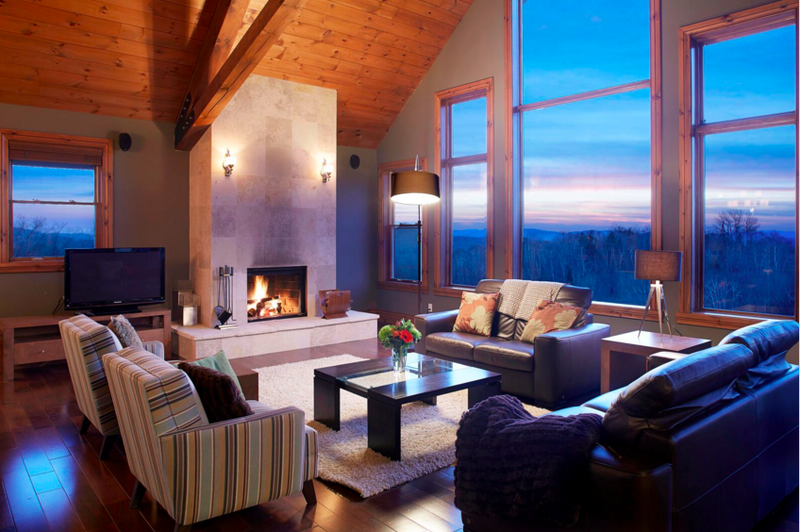 Throw in a few to-die-for mountain views, a private chef, your own hot-tub and a living room with a fireplace, cathedral ceilings that are simply stunning and panoramic windows. Now, breathe deeply. This is how you really want to get away from it all. “The vacation rentals business used to be: ‘I am renting your house.’ Now it’s: ‘I am renting your house with hotel services,” explains Joan Bou, president of Tremblant Living, which specializes in “superior luxury vacation rentals” in the Mont Tremblant area of Quebec’s Laurentian mountains. 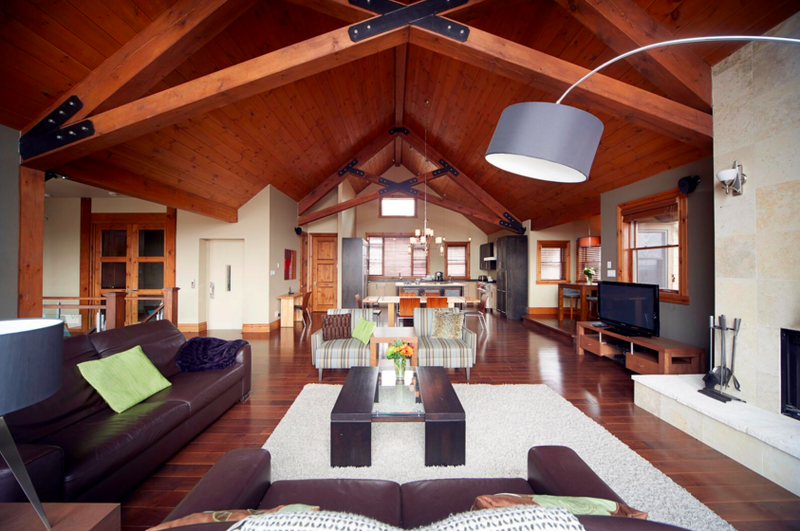 But Tremblant Living does not offer just any house. It has the most luxurious estates available. This includes the Forêt Blanche, a home on three levels in the Versant Soleil area of Tremblant, considered the most exclusive ski-in and ski-out residential area at the world-renowned resort location. 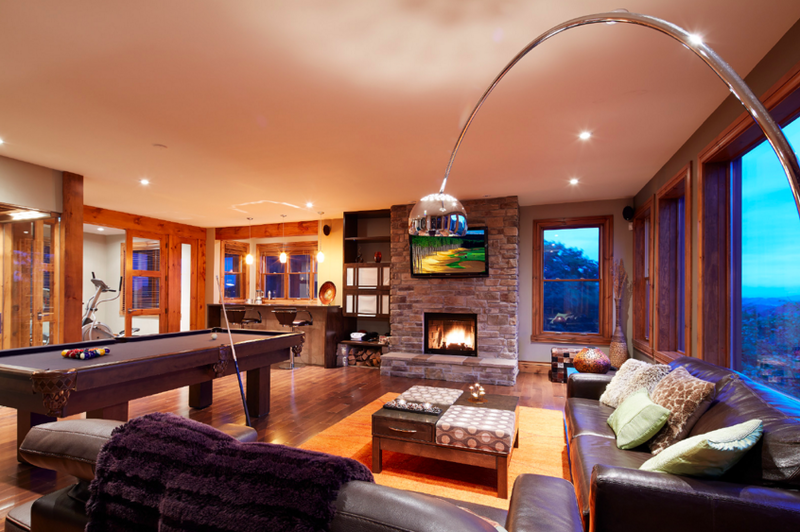 Minutes from the casino, it is also the only rental in Tremblant that has a five-star rating, issued by the Corporation de l’industrie touristique du Québec. In fact, it is only one of five vacation rental residences in the province that has earned the CITQ’s top rating. So what should you expect from Forêt Blanche? It accommodates 13, has five bedrooms, eight bathrooms – including five ensuites – a gym, a hot-tub, sauna, a billiards table, three fireplaces, a gourmet kitchen, an elevator, WiFi, five flat-screen TVs, two deck areas and all sorts of space – 7,000 square feet in all. Those are just the stats. Now for a few details: Gleaming hardwood floors, vaulted cedar ceilings with spectacular A-frame beams, a dining room table that seats 12 comfortably, stainless-steel appliances, a professional gas range, two wine cellars and a living room area on the upper level that has amazing mountain views. Bou says the house is available for rent in every season. The most frequent renters are families, usually inter-generational groups, who are looking to vacation together. Often, friends who want to spend family vacations together share the space. But a growing segment is companies looking to host corporate retreats. It’s not for everyone, he cautions, however. It’s not like a hotel where there is a restaurant off the lobby. 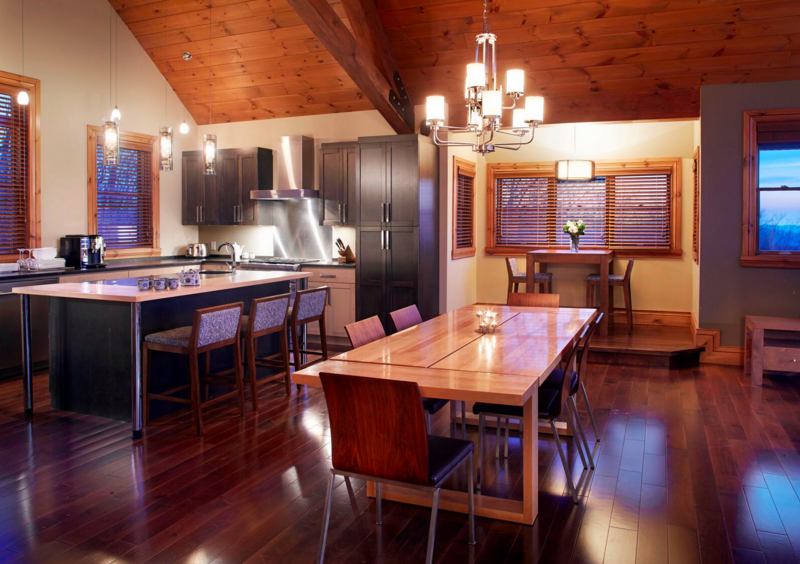 If you don’t splurge for the option of hiring a private chef, which Tremblant Living will arrange for you, you have to do your own cooking. But there certainly won’t be any plumbing problems. Forêt Blanche rents for $1,425 to $3,840 per night, depending on the season. A three- to four-night minimum stay may apply.